The photo shown costs £430 ( this price is made up of: end with horizontal bars (£315) plus one end (£115). 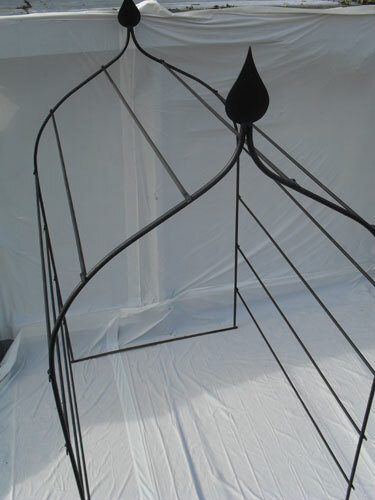 The arbour comes with extended legs, which need to be put into the ground. Each end of the tunnel you will require 2 stays, to secure arch, which also goes into the ground. Therefore however many bays you have (one or ten) you will require 4 stays which cost £100. Please note this tunnel arch can also be attached to walls / buildings. The price above shows finish in two coats of semi-black paint.